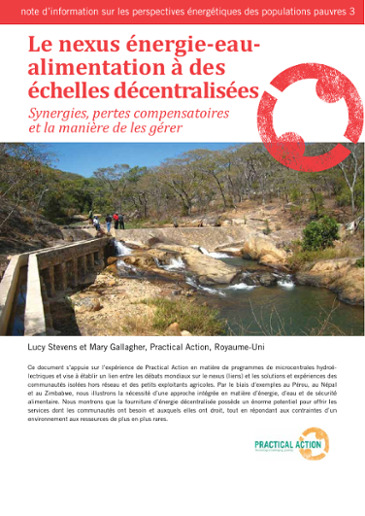 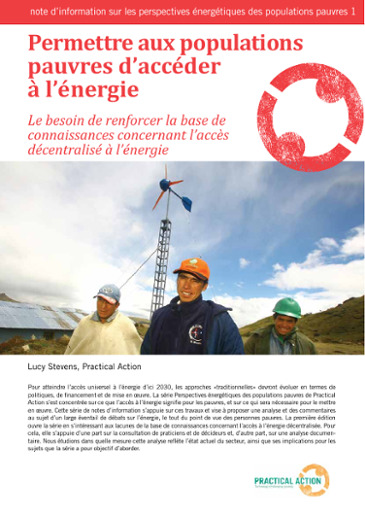 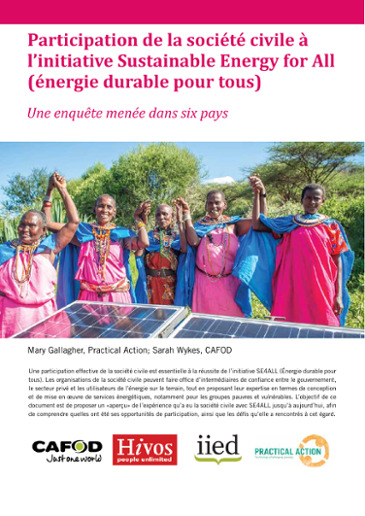 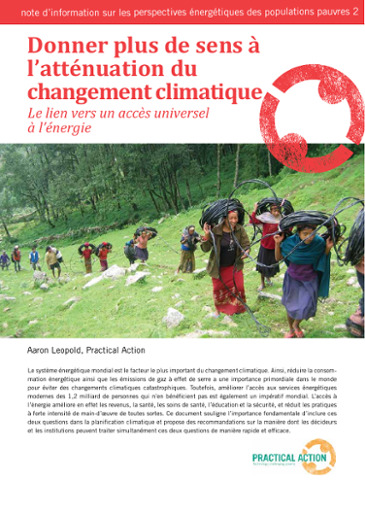 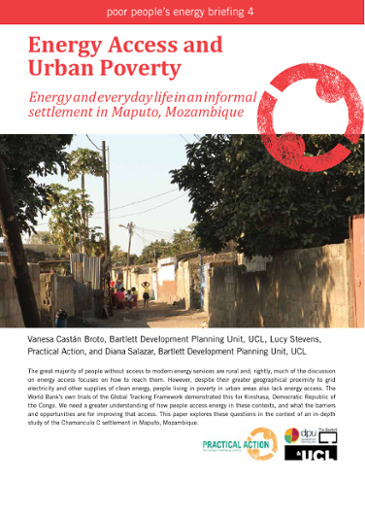 The Poor People's Energy Briefing Series offers critical input into the dynamic and ever-evolving energy sector from the perspectives of poor people, while also exploring energy access through the lens of topical issues including urban energy poverty, climate change and civil society engagement. 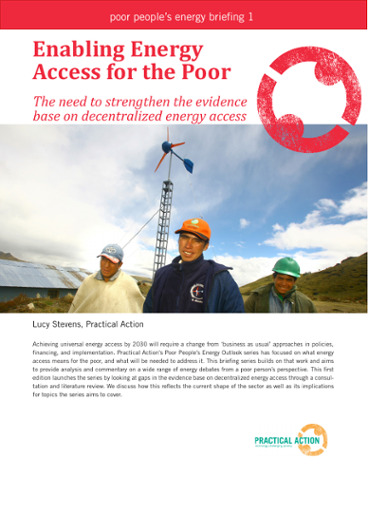 The series complements Practical Action's flagship Poor People’s Energy Outlook which has, since its launch in 2010, been at the forefront of pioneering new ways of understanding what energy access means for the poor - and what will be needed to achieve universal energy access targets by 2030. 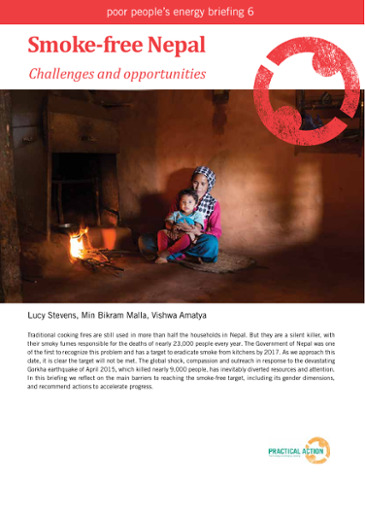 The energy briefing series is a vehicle to share new evidence and learning; it aims to be thought-provoking and challenge the business-as-usual approach to energy access debates, that emphasises large-scale infrastructure growth and grid extension over new and innovative decentralised energy solutions which are more appropriate for meeting the energy needs of the rural poor. 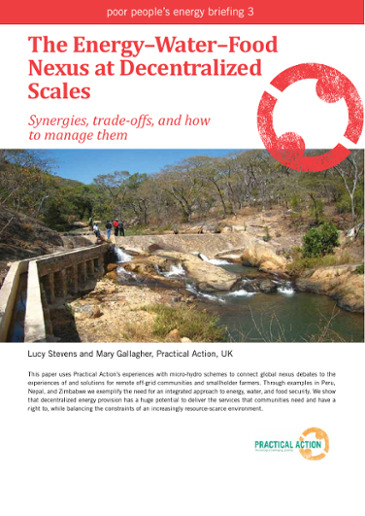 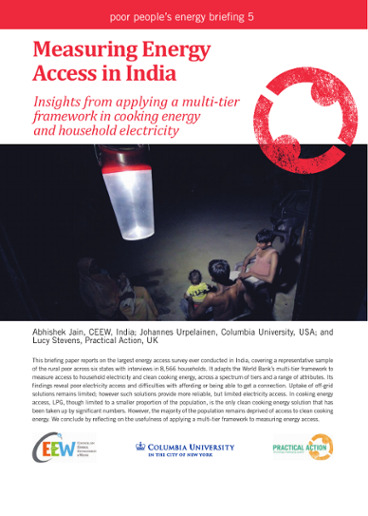 The series is also a space for collaboration with energy access practitioners and policymakers. 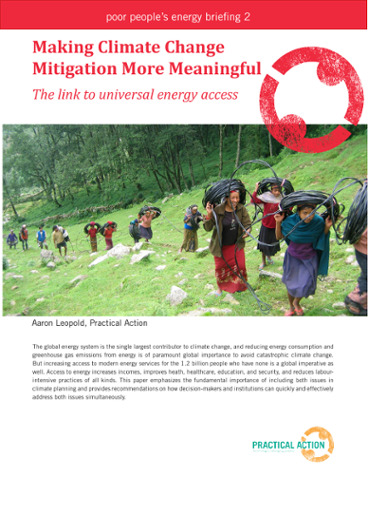 It seeks to inform how we deliver on global, regional, and national energy access commitments with one sole aim: to reach universal energy access goal by, if not before, 2030; providing poor people with the energy services that they want, need, and have a right to.